My eating habits have come a long way. I remember there was a time in my early 20s when I lived on coffee and Snickers bars. I was so thin and unhealthy looking. In fact, I had issues conceiving for years until I gained some weight and started eating better. For the past year and half, I’ve been making a concentrated effort to improve my lifestyle. I’m walking more, drinking lots of water and eating more fruits and veggies. Still I know there’s always room for improvement. One new thing I’ve added into my regime is smoothies made in my NutriBullet. I normally had just made fruit smoothies in the past, but the NutriBullet has motivated me to step things up a notch. Now, I’ve added both fruit AND veggies to my smoothies. Yep, I’m drinking my veggies. That’s something I NEVER thought I would do! 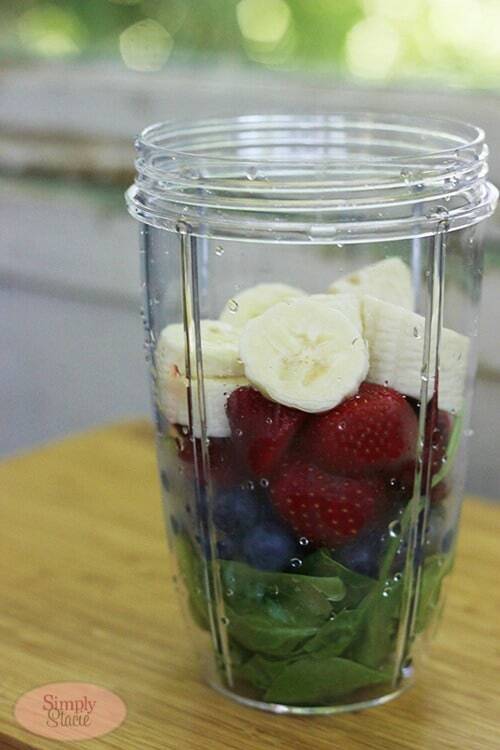 The NutriBullet is different from your regular blender and juicer. It extracts the nutrients from the ingredients and breaks them down into a superfood. For instance, say you had some grapes you wanted to eat for a quick snack. A juicer would catch the seeds and skins in its strainer basket while a blender would not be able to handle the seeds and stems. The NutriBullet, however, would be able to break down everything allowing your body to access all the nutrients found in the stems, skin and seeds. I learned that’s where the highest amount of nutrients are in a grape. I would have never thought to include those in a smoothie prior to trying out the NutriBullet. The NutriBullet comes with cups (tall and short) with handles, stay fresh lids, an extractor blade, a milling blade, a user manual/recipe book and a pocket nutritionist. It’s powerful enough to burst open seeds, shred tough skins, crack through stems on those tough to eat foods. 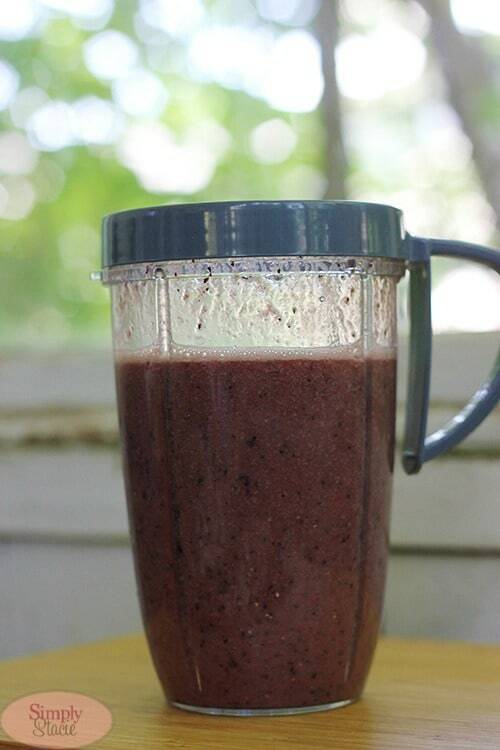 The NutriBullet is what you need to make yourself a NutriBlast. It’s a nutrient extracted drink that will feed your body fruits and veggies in an easy to absorb format. It follows a basic formula: 50% leafy greens, 50% fruit and a 1/4 cup seeds, nuts or super boosts (optional). Add in some water to cover everything and blend away. I used the extractor blade and popped it on my NutriBullet. To work the NutriBullet, you just need to put the cup on the power base and press down and twist for the motor to start extracting. Once I saw that it was all mixed together, I knew it was ready to drink. Taste wise, it was yummy! It tasted fruity to me and I even gave John one and he had NO CLUE there was spinach in there. He wouldn’t have drank it if he had known! Drinking a NutriBlast every day will help to increase your energy, improve sleep, digestion, hair, skin and nails and even reduce stress. I could use help in every single one of those areas. I’m sure many of us could! I love the large amount of recipes found in the Recipe book. They have combinations in there that I never would have even thought to try! They also have information on the NutriBullet Superfood 6 Week Transformation Plan. It lists out meal plans, recipes, eating schedules and tips on how to take control over your health. I need to lose my last 10 lbs so I’m considering trying it myself. The NutriBullet also comes with a Milling Blade to extract nutrients from dry ingredients. It can be used to mill oats, nuts and seeds. This would be neat to make my own flour. The Pocket Nutritionist is a handy little book with everything you need to know about fruits, vegetables and the boosts (ie nuts, berries, seeds, etc). It lists the benefits and what you should look for when selecting what to buy at the store. I like how the NutriBullet is so simple to use. It’s basically ready to use when you take out of the box and there’s nothing complicated about it. Just add your ingredients to the cup, add the blade and extract away. You can drink it right from the cup you used to extract everything thanks to the handles. To clean, wash the blades in warm soapy water only. They aren’t supposed to go in the dishwasher. I’m looking forward to testing out more of the recipes and coming up with a few of my own. I’ll be experimenting to see which fruits and veggie combinations I like the best. Buy a NutriBullet for $119.94 and they also have a payment plan if you prefer to spread the amount over a few payments. I’ve been looking for a new blender to make green smoothies in, but the Vitamix and Blendtec are way out of my budget. This looks like what I’ve been looking for! “The NutriBullet also comes with a Milling Blade that can mill brown rice into brown rice flour, almonds into almond butter, wheat berries into all-natural wheat flour, etc” Convenient! No plastic wrap or storage containers are needed to keep your drinks fresh. You can order Goji berries, cacao nibs, maca powder and chia seeds from the site too! I like that you can also mill grains and chop herbs and nuts with it. I need to try one of these things out! I learned that this offer will never be available in stores. Oats, nuts and seeds can be milled with the Milling Blade! I love that it comes with a milling blade I am really interested in making bean flour. I learned a milling blade comes with it so you can mill oats, nuts and berries. The extractor blade cut through seeds and steams. I like the recipe book and how it tells you what the food contents are so you can individualize your meals. I like that they have a lot of different recipes that you can make, they all sound so good. The powerful 600 watt motor and that it is BPA free. I love that you don’t have to pre chop fruits if you don’t want to. I learned that juicing removes the fiber from foods, but the Nutribullet breaks down the ingredients to their most nutritious and absorptive state. I like that the product is BPA free. I like that you can make it and take it. I also like that it is easy to clean. I love that you don’t have to pre-chop! Would love one of this. I want to learn to make all these nutritious drinks for a more healthier living. I like that they have recipes to be followed in phases to get you started! i learned that the nutribullet completely breaks down food into its most nutritious state. the “Milling Blade that can mill brown rice into brown rice flour, almonds into almond butter, wheat berries into all-natural wheat flour”, that’s pretty impressive. I like the recipes, especially the energy elixir. I learned thier website has a recipe section! So once you get one you can start making yummy drinks. I most want to try the Toxic Cleansing Blast recipe because just TODAY I found out I like spinach & could use a good cleansing! I liked the recipes they have for immunity boost and energy elixer. It busts open seeds! Thats great for nutrition. 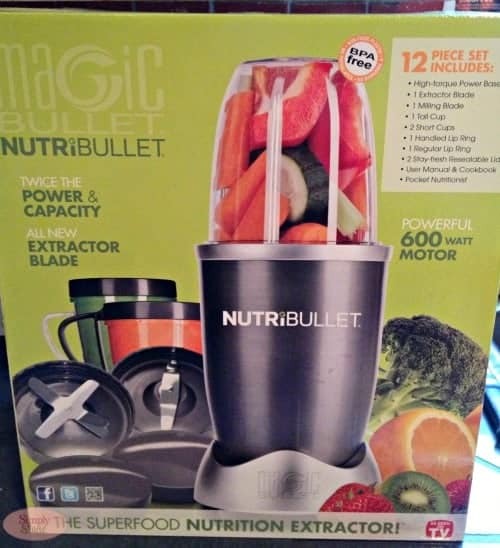 I would love to have a nutribullet to help me with my weight loss, I had my sisters but when she moved i had to return it, i did lose 178 pounds but still have 80 pounds more to go….